Of the more than 40 innovations Microsoft made to its Xbox One controller, the most useful new feature may come into play when users are not using the Gamepad at all. 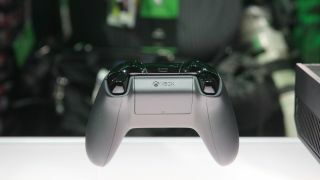 The company revealed via Xbox Wire that the Xbox One controller will go into a low-power state when gamers step away from the TV or leave the controller idle when watching a movie. This battery-saving mode means that the controller isn't turned off completely, as was the case with the Xbox 360 Gamepad that always had to be resynced with the console. The first-world problem of having to press the Xbox guide button and wait a few seconds is remedied by simply picking the controller back up. The new Gamepad's sleep mode feature is cutting-edge 21st century technology, but its source of power is still derived from the 20th: AA batteries. The flat battery compartment and microUSB port at the top of the controller made it seem as if Microsoft went with the rechargeable battery option that Sony's PS3 console included back in 2006. However, the company chose to stick with the replaceable, though sometimes inconvenient and more expensive, disposable batteries. The good news is that the controller will be both wireless and wired thanks to that handy microUSB port. Previously, Microsoft sold separate Xbox 360 wireless controllers, but this gives gamers the best of both worlds from the start. It also eliminates the need to run out to the store and buy another pair of batteries when your AAs start giving out. See the Xbox One E3 teaser trailer Microsoft released in advance of E3 2013.